5-Minute Sketching: Landscapes contains over fifty exercises to help you sketch landscapes in just 5 minutes. 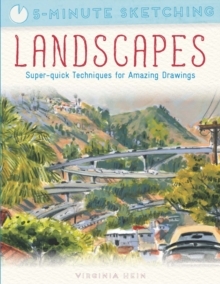 Suitable for both new and aspiring artists, this easy-to-use handbook will loosen up your creativity and show you how to sketch while outdoors or on the move and have only a few minutes to spare. Urban sketcher and blogger Virginia Hein uses bite-sized exercises to show you how to deconstruct landscapes and landmarks quickly, so you can easily incorporate drawing into your everyday life. 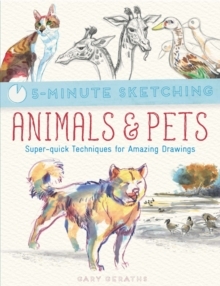 Each exercise features five expert tips, tricks and techniques as well as examples of amazing 5-minute sketches to inspire readers who are short on time. In no time at all you'll be ready to reclaim your sketchbook and record your local landscape or a foreign scene.